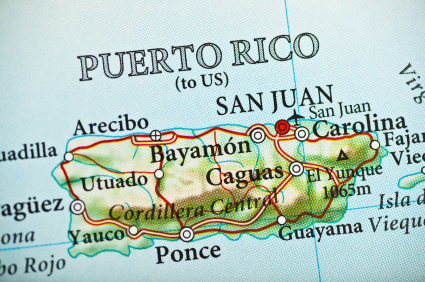 Dealing with the IRS is difficult enough for residents of the continental United States, but for residents of Puerto Rico, navigating the taxation system can be nearly impossible, leading many to end up in the sights of the IRS. With a staff of fluent Spanish-speakers and extensive experience dealing with IRS issues in both Florida and Puerto Rico, tax attorney Steven Klitzner is proud to serve Puerto Rican residents with personal and helpful tax advice and assistance. The United States imposes a yearly income tax on all of its citizens, regardless of whether they live domestically or internationally and of whether the monies were earned inside or outside the U.S. However, they do allow for a foreign tax credit with specific limitations. People who are born in Puerto Rico are considered citizens of the U.S. for tax purposes, which means they are subject to taxation by the U.S. government, and a Puerto Rico tax attorney needs to understand and be able to work with the IRS to effectively help a client being targeted by this entity. However, the tax system is complicated by the fact that Puerto Rico is considered neither a foreign country nor a state. It has a special status as a territory that allows for the tax burden to be split between the U.S. Federal government and the Puerto Rican authority. In addition, there are many special exemptions and rules that apply to residents and companies based in Puerto Rico according to US tax codes. If you split your time between the continental U.S. and the Commonwealth, then this is confused even further. A Puerto Rico tax attorney at Florida Tax Solvers can help you identify which portions of your income apply to U.S. laws and which should be assessed by the Puerto Rican government. They can also help you work to figure out if you qualify for any exemptions, and if these could help lower what you owe to the IRS. Since we are based in Miami, Florida Tax Solvers has experience working with the IRS and understands how to effectively work with them in your interest. We work directly with individuals in Puerto Rico, and our staff has a deep understanding of your unique needs. What’s more, we don’t take a one-size-fits-all approach. We make it our mission to provide personal service that’s tailored around your situation. At Florida Tax Solvers, you never speak to a salesperson, because we don’t have them. You work personally with Steven Klitzner to solve whatever issues you’re having and get questions answered promptly and professionally.